The College of Visual Arts, Theatre and Dance wishes to recognize Jawole Willa Jo Zollar from the School of Dance for receiving the Doris Duke Artist Award. “The Doris Duke Performing Artist Awards is a ten-year program undertaken by the Doris Duke Charitable Foundation, in partnership with Creative Capital, to empower, invest in and celebrate artists by offering flexible, multi-year funding as a response to financial and funding challenges both unique to the performing arts and to each grantee. Ultimately, the Awards program reflects the pioneering spirit and generosity of Doris Duke, who frequently invested in talent or artistic genres, such as jazz, certain forms of modern dance and traditional Islamic art forms, long before others in the United States recognized the value of such work. Artists will receive an unrestricted grant of $225,000 over a three to five year period, as set through a schedule to be determined by the recipient. 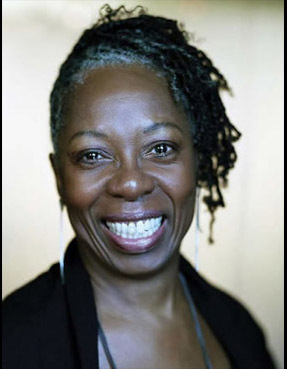 Jawole Willa Jo Zollar founded Urban Bush Women (UBW) in 1984 as a performance ensemble dedicated to exploring the use of cultural expression as a catalyst for social change. Her choreography offers audiences a more holistic view of African American women’s experiences in relation to the dynamism of the human condition—whether investigating Pearl Primus’ diaries of African cultures (Walking with Pearl series, 2006) or offering a sassy riff on the female backside as in the iconic Batty Moves (1995). Her company was selected as one of three U.S. dance companies to inaugurate a cultural diplomacy program for the U.S. Department of State. She is currently working on the re-launch of UBW and the 30th Anniversary Season, featuring a new work, Walking With ‘Trane, which explores the life and musical legacy of John Coltrane. Designated a Master of Choreography by the Kennedy Performing Arts Center in 2005, Zollar, with UBW, has received numerous honors including a USA Fellowship (2009), a Guggenheim Fellowship (2008), and multiple MAP Fund and NEFA National Dance Project grants. A devoted educator, she serves as director of UBW’s acclaimed Summer Leadership Institute and holds the position of Nancy Smith Fichter Professor of Dance and Robert O. Lawton Distinguished Professor at Florida State University. What are your key goals for the award period? What challenges, desires, drives or needs are inspiring these goals? One challenge is how to create an infrastructure that allows for the complexity of my vision to thrive and provide inter-connecters between the key platforms of my work. The Doris Duke Artist Award will help me address Urban Bush Women (UBW)’s infrastructure challenges. 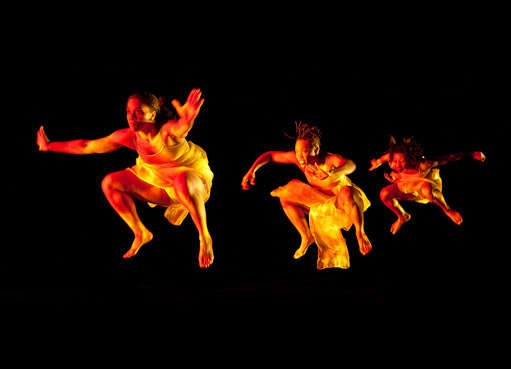 My goal is to continue creating bold, provocative, relevant work with an ensemble of dancers, as well as special projects with peer creators—like visible (2011) with Nora Chipaumire. This warrants extensive time for collaborative processes. Over the past 10 years, the ability to honor my process has eroded, leading me to put the dance company on a 2-year hiatus. We will just be coming off of hiatus/strategic change with some of the infrastructure and time challenges resolved in the organization’s collective understanding, but without the funds for full implementation. This award will allow me to seek administrative partners that understand the entire scope of the vision; and who will focus on gathering resources, including partnerships and allies to help facilitate a resilient vision of excellence, innovation, and rigor. My biggest joy is that I will be able to reinvest in the time-intensive collaborative creative process for ensemble-based work.